Final reminder all! Come to an amazing performance and support our new foundation in the process! Buy tickets or contribute here. 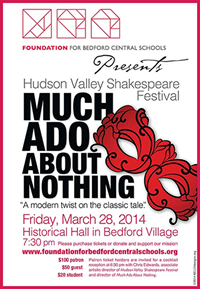 Hudson Valley Shakespeare Festival presents Much Ado About Nothing, A modern twist on a classic tale. Friday, March 28th, Historical Hall, Bedford, 7:30pm. 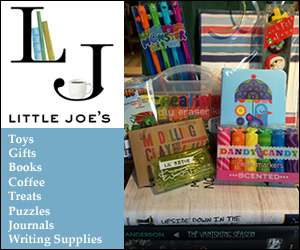 Supports the Foundation for Bedford Central Schools. Kid friendly presentation!